Welcome to BASELWORLD 2009! 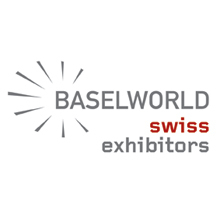 Once again, the Swiss exhibitors are proud to present their latest creations from the watchmaking, jewellery and related sectors. tourbillons, that queen of complications. Another legendary complication, the regulator, which has been around for almost 400 years, finds new life in some daringly contemporary models. As for display functions, this year’s crop boasts several novel approaches, especially retrograde displays and date disks. Timekeepers are perpetually evolving and those revealing an exciting blend of the futuristic and traditional are no longer exclusively confined to the wrist. aficionados. As far as gems are concerned, diamonds retain their uncontested supremacy, while pearls have been presented in creations designed to appeal to active women who want to display an unpretentious elegance in their day-to-day life. Today’s jewellery lovers are particularly well-informed, frequently making use of new media like the Web. This group of connoisseurs is looking primarily for jewellery with a traditional and authentic character, or strong brands with which they can identify. This tendency can be seen in every price category, including very affordable costume jewellery in silver or steel. While Swiss watch exports have recorded a year-onyear decline during the past five months, we should remember that the basis for comparison is particularly high. Over the five-year period between 2003 and 2008, Swiss watch exports rose by almost 70%, rising from CHF 10 billion in 2003 to CHF 17 billion in 2008, a record year despite the start of a slowdown in the last quarter. Although the first two months of 2009 showed a year-on-year decline, the accumulated amount of 1.984 billion is 10% higher than in 2006 and 5% lower than in 2007, both of which were excellent years. The first half of 2009 will certainly be lower than that of 2008, but there is still hope that the second will be higher and reduce the current gap. make sure you visit Hall 3, which houses the stands of the related sectors. Here, you will discover a wealth of skills and savoir-faire that often go unrecognised. We wish you all an enjoyable and memorable visit!